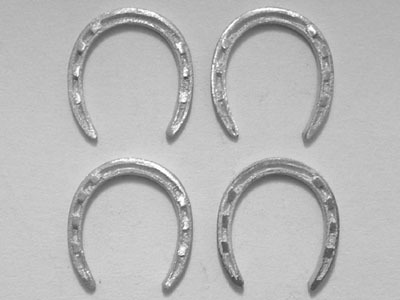 Traditional scale set of 4 draft horse shoes designed by Horsing Around. 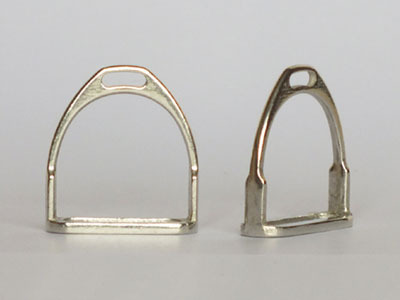 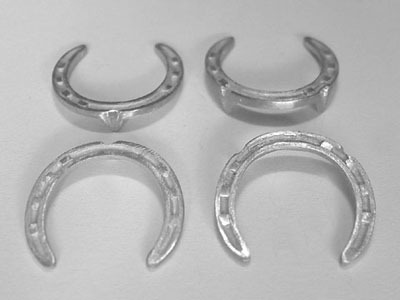 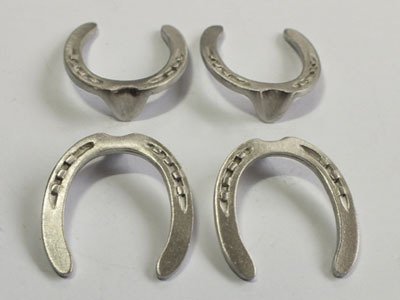 These horse shoes have been designed with the correct number of nails for both left and right shoes so each set will contain two left, and two right, shoes. 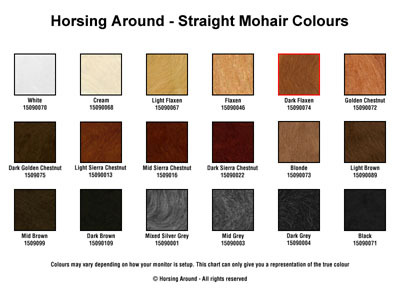 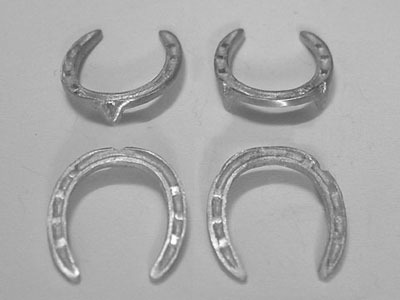 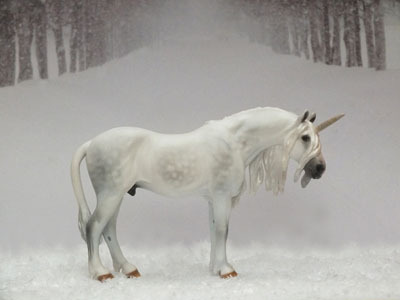 These beautifully designed shoes have been cast in pewter so that you can carefully fit them to the shape of your model's hooves. 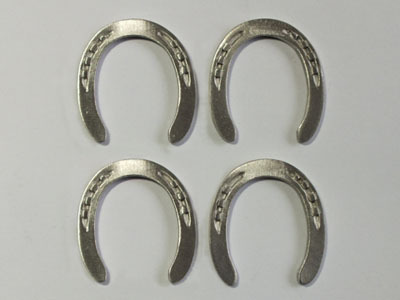 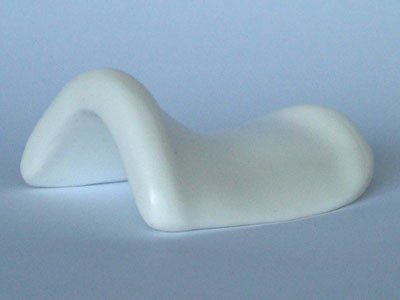 These shoes measure 2.41 cm (0.95") wide (side to side at widest point) and 2.59 cm (1.02") long (toe to heel).